The appeal of being an online influencer is undeniable. You get to build your audience and authority while doing what you love… and you get actually get paid for it. If this sounds like a good gig to you, read on. I’ll share eight steps to start becoming an online influencer in your field, starting today. The very best tip I can give you at the start of your influencer journey is to go niche. In any given field, there will already be big-name influencers who have been building their authority for years. Rather than trying to compete, narrow your focus down to a smaller and more targeted topic/field. 26-year old British blogger, Elise Andrew, is a great example of a mega-influencer who has cornered the market on a niche: science made simple. Her Facebook page, I f*ing love science, has amassed more fans than Popular Science and the National Science Foundation put together. Had she tried to compete with those established brands, she likely never would have succeeded. However her unique perspective and approach toward science meant she started small, but exploded her influence in just a few short years. Particularly at the beginning of your journey, it’s vital that you focus almost exclusively on providing high-quality content. Monetization can and will come later, but if you try to make money too soon you could lose the respect and authority you’re working so hard to build. Once you’ve established yourself in the influencer marketing world as an influencer, you can begin building revenue through a variety of means. Most of your income will eventually come from promoting your own products (usually e-products) and sponsor campaigns. However, in the meantime, produce a ton of content in a wide variety of formats, not just blog posts. This might include emails, videos, podcasts, ebooks and other free infoproducts. The vast majority of this content should be completely free and available without any strings attached. One of the best ways to expand your reach outside your current audience is to guest post on high-traffic sites. Ideally, reach out and see if you can become a regular contributor to those sites. This will allow you to steadily build your audience while also receiving tons of referral traffic to your own site. When using this strategy, watch your analytics carefully to see which sites are most effective in terms of targeted traffic. It may be tempting to post to big-name sites, but if you’re not getting results, you’re wasting your time. And don’t discount smaller, niche sites just because of their size! Sometimes smaller sites with loyal audiences can send the most targeted and enthusiastic visitors. Want to see how I use guest posting to build my business? Check out my interview with Marketing Speak’s Stephan Spencer, Building a Following Through Blog Posts. High rankings are obviously important for getting traffic to your site. However they’re also a key part of gaining authority in your field. If you’re not ranking in the top 3 spots for important keywords, it will be hard to convince your audience you’re truly an authority in your field. Start off by focusing on your name and brand-related keywords first. These will be easiest to rank for, and will help you establish some credibility when people look for you online. Next, move on to more popular and competitive terms. Keep in mind it doesn’t necessarily need to be your own site that ranks for those keywords. If you’re using guest blogging as part of your strategy, it may be easier to rank for highly-competitive keywords on those sites. Most of your influence can built up online. That’s where you’ll be spending most of your time and investing most of your resources. However, most online influencers also spend some time building their authority offline, through live speaking engagements, teaching classes or doing interviews. Writing a book (a real, paper book!) can also be a huge boon to your career as an influencer. While ebooks or other info-products are also great, getting a book endorsed by an outside publisher can add an extra layer of authority and credibility. I hope it goes without saying, but in order to be an online influencer, you should actually know what you’re talking about. While you won’t be expected to know everything, you should have a solid knowledge of your field and be willing and eager to continue learning. In his book Outliers, Malcolm Gladwell writes about the 10,000 hour rule: that to become an expert in your field, you need to put in at least 10,000 hours of practice. This rule was based on the research of Dr. Anders Ericsson, who says the key isn’t necessarily any kind of practice, but deliberate practice. 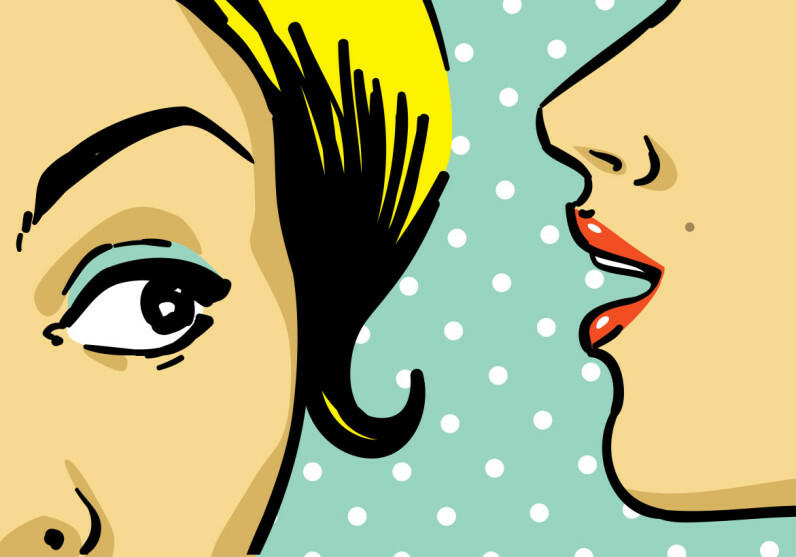 Here are a few tips to become more of an influencer expert. Being active on social media is about more than posting on your own accounts. You need to be engaging and participating in a variety of communities; even those you don’t own and control! This means showing up at other people’s Twitter chats, commenting on other people’s Instagram posts and tagging others on Facebook. Visit industry forums and share insights and info with no expectation of getting traffic or any other benefit. In other words, get out there and make sure people in your field see you and get to know you as an expert. In terms of which social networks to focus on, Facebook and Instagram appear to be among the most effective among influencers. Of course, this will vary depending on your niche, so test out what works best with your audience. Unlike traditional celebrities, people expect online influencers to be approachable and responsive. This means consistently responding to emails, social media mentions and blog comments. While you don’t have to respond to every comment or question, it helps to let your readers and followers know you’re at least reading them. Neil Patel is great example of an online influencer who takes this responsibility seriously; after 10 years of blogging, he still responds to most of the comments left on his blog. Becoming an online influencer doesn’t happen overnight. It requires time and a whole lot of hard work. However, if you stick with it and follow the eight steps above, you’ve got a good shot at achieving influencer status… maybe sooner than you think! What would you add to this list? What other strategies are you using on your path to becoming an influencer? Share below.